ST. GEORGE – No. 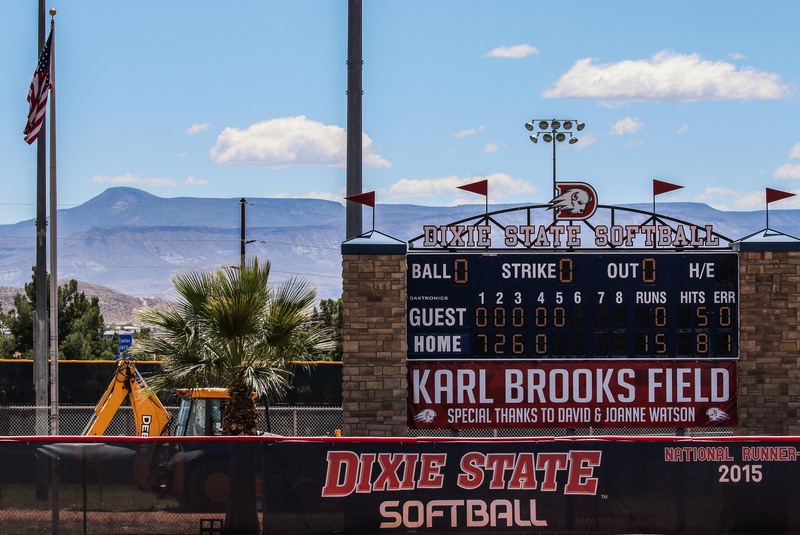 18 Dixie State softball returns to Karl Brooks Field this week for a date with No. 2 Chico State in the NCAA Division II West Super Regional. The best-of-three series opens on Thursday at 3 p.m., with game two slated for a 12 p.m. Noon start on Friday. If the teams split the first two games, the if-necessary game will follow at 3:30 p.m. on Friday. The winner of the series will earn a berth to the 2018 Division II Women’s College World Series in Salem, Virginia. The Trailblazers (41-8) played their way to the West Super Regional with a sweep of the West 2 Regional in Irvine, California. DSU opened the sub-regional with a 5-4 defeat of Cal State San Bernardino on Thursday, followed by a 3-2 win over No. 12 Concordia-Irvine on Friday. Dixie State officially punched its ticket to the Super Regionals with a second victory over CUI, this time a 4-3 triumph over the Eagles on Saturday. The Wildcats (53-3) swept through the West 1 Regional on their home field in Chico, edging Northwest Nazarene for a 5-2 victory on Thursday, followed by a 3-0 triumph over California Baptist in nine innings on Friday. Chico State closed out the tournament with another victory over the Lancers, this time a 7-2 win on Saturday. Live video and stats will be provided by the Dixie State sports information staff. Links for each are available at DixieStateAthletics.com. ALL-TIME VS. CHICO STATE: Thursday’s series-opening game marks the fifth meeting between Dixie State and Chico State. The teams first met on Feb. 15, 2008, at the Schutt Sports Division II Leadoff Classic in Phoenix. The Trailblazers claimed a 4-3 win in the debut matchup between the teams. The Wildcats answered with two consecutive victories, including a 4-3 win in the 2010 West Regionals in the only postseason meeting between the teams. 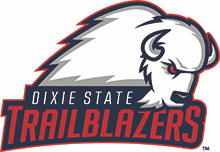 Dixie State won the most recent matchup, a 1-0 triumph at the Tournament of Champions in Turlock on March 30, 2012. The overall series is tied at 2-2, while the 2018 West Super Regional will mark the first time the teams have met on either squad’s home field. ALL-TIME IN WEST SUPER REGIONALS: Dixie State played in its first West Super Regional in 2009, hosting Stanislaus State at Karl Brooks Field. DSU dropped the first game before rallying for two victories the next day to advance to its first Division II Women’s College World Series. The Trailblazers also hosted the West Super Regionals in 2014, sweeping Cal State Monterey Bay, and again in 2015, taking both games from Sonoma State. The 2017 West Super Regional marked the first time the Trailblazers played in a Super Regional away from Karl Brooks Field. DSU dropped a pair of close losses, 3-2 and 8-6, in Arcata, marking the Trailblazers first Super Regional loss. Dixie State is 6-3 all-time in West Super Regional games, including a 6-1 mark at Karl Brooks Field. KNOW YOUR FOE: Chico State enters the West Super Regional with a 53-3 overall record. The Wildcats are the top-ranked team in the West Region and hold the No. 2 ranking in all of Division II. The Wildcats are riding a 28-game win streak and have not lost a game since March 16. Chico State features seven All-West Region players on its roster, including pitcher Haley Gilham (29-2, 1.06 ERA, 217.0 IP, 170 SO), second baseman Karli Skowrup (.366, 63 hits, 60 RBI, 13 2B, 12 HR), designated player Amanda Flores (.372, 42 hits, 32 RBI, 11 2B, 2 HR), pitcher Naomi Monahan (15-1, 2.83 ERA, 99.0 IP, 70 SO), first baseman Cyrena Taylor (.331, 55 hits, 37 RBI, 15 2B, 4 HR), shortstop Wendy Cardinali (.313, 51 hits, 33 RBI, 10 2B, 10 HR), and outfielder Kristin Worley (.394, 61 hits, 22 RBI, 11 2B). MAKING HISTORY: Janessa Bassett became the DSU Softball career hits leader with a leadoff single in the first inning at Chaminade on March 12 for her 249th career hit, passing Courtney Hine (248, 2012-15). Bassett has recorded 31 more hits since then for a current career total of 280 hits. Additionally, Bassett broke the DSU Softball career runs scored record on February 10 when she scored on a Riley Tyteca single in the top of the fifth inning vs. MSU Billings. The run marked her 184th career run scored, passing Courtney Hine (183, 2012-15). Bassett has scored 61 runs since then for a career total of 245 runs scored. In all, Bassett is the career leader at Dixie State in hits, runs scored, triples, total bases, walks drawn, and stolen bases. Cambrie Hazel earned her 10th win of the season on March 29 vs. Azusa Pacific to become just the second freshman (Lauren Folta, 2009; 15-6) in the DSU softball NCAA era to notch 10 wins in a season. Hazel has earned nine more wins since then to improve to 19-3 on the season. Additionally, Hazel has tossed five no-hitters, including a perfect game vs. NDNU on March 3, this season to set a new DSU career no-hitters record. Aryn Feickert (2014-16) held the previous mark with three career no-hitters. As a team, the Trailblazers recorded their best start in program history, winning 20 consecutive games to start the 2018 season, before falling at Hawai’i Pacific on March 14. 400-WIN CLUB: Head coach Randy Simkins recorded his 400th career win when the Trailblazers swept Chaminade in a doubleheader on March 12. Simkins currently holds a 421-116 (.784) record in his 10th season at Dixie State. PACWEST/NFCA WEEKLY AWARDS: The Trailblazers racked up nine PacWest weekly awards this season. Cambrie Hazel owns six of the nine, earning four PacWest Pitcher of the Week awards to go with two PacWest Freshman of the Week. Hazel was also named NFCA Division II National Pitcher of the Week on April 11. Janessa Bassett garnered the other PacWest weekly awards, grabbing PacWest Player of the Week honor three times. Bassett was also named NFCA Division II National Player of the Week on February 14. TRAILBLAZERS LAND SIX ALL-PACWEST HONORS: Dixie State landed six All-PacWest honors on Tuesday. Janessa Bassett, Bailey Gaffin, and Jessica Gonzalez earned first-team honors, while Cambrie Hazel and Kenzie Sawyer landed on the second team. Kori Gahn garnered the team’s lone third-team selection. FOUR TRAILBLAZERS GARNER ALL-REGION HONORS: Janessa Bassett, Cambrie Hazel, and Bailey Gaffin each earned NFCA All-West Region honors earlier this month. Bassett earned first-team honors, while Hazel and Gaffin landed on the second team. Additionally, Bassett, Gaffin, Hazel, and Jessica Gonzalez earned D2CCA All-Region honors. Bassett and Gaffin earned first-team honors, while Hazel and Gonzalez landed on the second team. 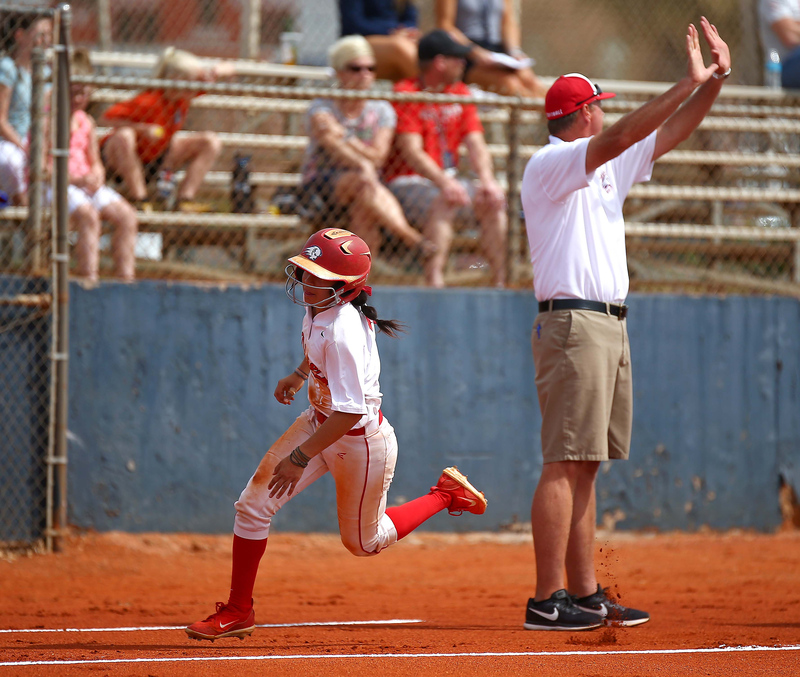 THE SIMKINS FILE: Randy Simkins enters his 10th year as the Dixie State head softball coach in 2018, after a stint as head coach at DSU while competing in the junior college ranks. He led Dixie State to a program-best 49-6 record in 2004 while the school competed as an NJCAA program. In 2015, the Trailblazers recorded the most wins as a Division II program with 52 victories. Simkins has led DSU to four PacWest championships, two West Region championships, two trips to the College World Series, and a national runner-up finish in 2015. 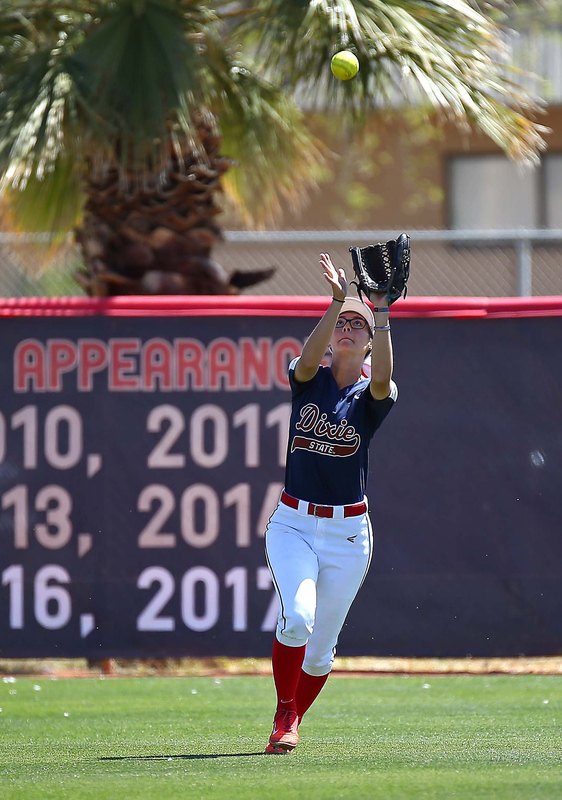 2018 ROSTER: Dixie State returns 13 starters from the 2017 squad, led by senior outfielder Janessa Bassett. A three-time first team All-PacWest honoree and three-time All-American, Bassett led Dixie State in batting average for the third consecutive season in 2017, hitting .406 with 43 runs scored, 19 RBI, and conference-best marks in on-base percentage (.519), stolen bases (42), and triples (5). She also set the new DSU career stolen bases record, stealing 42 bases on 45 attempts for a career total of 118 stolen bases. Additionally, Bassett, was named PacWest Defender of the Year, and was near-perfect defensively, logging a .983 fielding percentage with 59 putouts in 60 chances. The Trailblazers return three other All-PacWest honorees, including Jessica Gonzalez, Bailey Gaffin, and Kenzie Sawyer. Gonzalez earned D2CCA All-West Region and second team PacWest honors in 2017. She finished the season in the Top-10 of six different statistical categories in the PacWest, including slugging percentage (.610), fielding percentage (.990), RBI (40), home runs (11), walks drawn (22), and caught stealing by (11). Gaffin enjoyed a breakout season in 2017 and landed D2CAA/NFCA All-West Region honors and second team All-PacWest honors. She finished the season in the Top-10 in five different statistical categories in the PacWest, including batting average (.390), slugging percentage (.585), on-base percentage (.463), hits (62), and RBI (43). Defensively, Gaffin logged a .957 fielding percentage, recording 102 putouts and 74 assists in 184 chances. Sawyer was named the PacWest Newcomer of the Year in 2017, as she transitioned seamlessly from the junior college ranks to the PacWest, hitting .327 with 26 RBI, eight doubles, and four home runs. She recorded nine multi-RBI games, reached base in 14 consecutive games, and earned PacWest Player of the Week honors on February 20. Alyssa Arslanian joins the team as the only junior college transfer addition in 2018. Arslanian hit .431 with 106 RBI, 31 doubles, and 27 home runs in two seasons at Snow College. Four freshman look to compete for playing time in 2018 as Meagan Anders, Malory Eldredge, Cambrie Hazel, and Emma Sweet join the team for the new season.